Did you know that it’s original site was in Barton and when the new site at Ringway was complete, the Duke of Edinburgh opened it? While we were enjoying the pop hits of the Spice Girls and Blur, we were also falling in love with holidays and Terminal 2 was being built to accomodate the extra travellers. By handling 22 million visitors a year, Manchester is the 3rd busiest Airport in the UK. It’s home to more than 60 airlines serving over 200 worldwide destinations. The airport employs around 19,000 people on site, whilst supporting an additional 42,500 jobs in the North West of England. On average every year, 40,000 bottles of champagne, 1.5 million bottles of water and 1.8 million books are purchased from the airport. Just outside the airport grounds, they have 3 bat barns, a mammal tunnel and badger setts, as well as around 92 ponds full of amphibian wildlife, all of which they have had constructed for wildlife preservation. In 1928, it was decided that Barton would be the chosen space for an aerodrome, and by 1930, construction was complete. After 4 years, it was decided that the space was too small, so work started on the Ringway site, and on 25th June 1938, the second site was opened. This is what would become Manchester Airport. During the war, Ringway Airport became an aircraft manufacturing centre and acted as a parachutist training hub. They also had an additional 3 runways added. After peacetime passenger services resumed, 1947 saw the amount of travellers almost triple in size to 34,000! This led to the expansion of terminal facilities that were built within the converted wartime building. 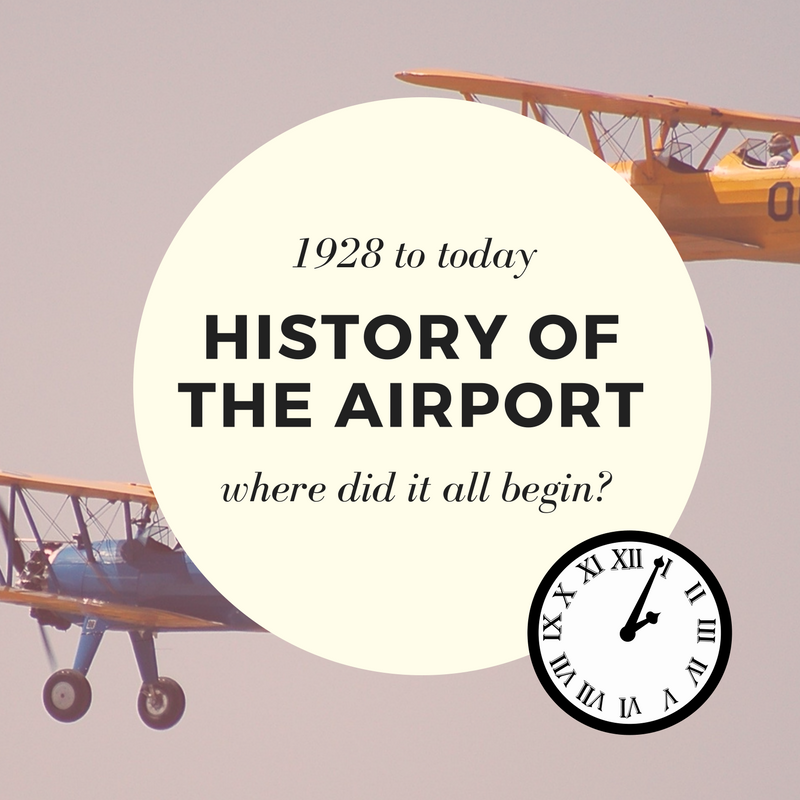 By 1954, the airport had started 24 hour operation, extended the main runway further and seen its 1 millionth passenger since the war! In 1962, HRH The Duke of Edinburgh opened the new £2.7 million Terminal, which saw Manchester implement the first ‘pier’ system in a European Airport – meaning passengers could actually remain under cover until their flight! Passenger numbers increased so steadily that by 1980, another pier system was built meaning they could handle Boeing 747s, another extension to the runway was completed and the Airport welcomed half a million passengers a month! As the Airports’ Golden Jubilee approached in 1988, they had already opened the World Freight Terminal, had another extension to the main runway and were now seeing over 1 million travellers a month; the ever growing popularity of Manchester Airport meant that it was time for a new terminal – and so in 1989, HRH The Princess of Wales opened the new Domestic Terminal – complete with parking and and dedicated check in services. Given the success of the Airport, Terminal 2 was built and opened in 1993 to accommodate the ever rising amount of travellers Manchester was handling; this figure peaked at 15 million annually by 1995, meaning plans for a second runway were put into place – this was constructed less than 4 years later. By 2005, the £5.5 million upgrade to Terminal 1 was complete and work was ready to start on Terminal 2. They had also finished constructing a new Public Transport Interchange – meaning travellers could easily connect to several other large cities in the UK – and were now handling 22 million passengers a year! Building works commenced in 2009 for the new educational centre and in November of that year, the Airport started trialling a new technology – now known as Body Scanners. By 2015, Manchester Airport had acquired the London City, Bournemouth and East Midlands Airports, Making MAG (Manchester Airport Group) is the 3rd largest group in the UK, after more than 75 years of operation. 2015 also crowned Manchester Airport as the ‘Best Airport in the UK’ by the Globe Travel Awards.